Toyokuni Shrine & Tomb of Noses? In spite of its majestic beauty and splender Toyokuni Shrine (豊国神社: とよくにじんじゃ) has a sad and ugly history on its precinct. Located in Higashiyama-ku in the ancient Japanese capital of Kyoto, the official tomb and shrine of Toyotomi Hideyoshi was built in 1599 to commemorate and worship him. On his order Japanese soldiers invaded the Korean Peninsula from 1592 till 1599. However barely 100 meters away of the tomb of the Japanese war here is the tomb of noses and years carved out of the Korean victims butchered by Japanese warmongers. The rampageous Japanese invaders were ordered by Hideyoshi to cut off and bring the noses and ears of the Korean war deads. They cut hundreds of thousands of ears and noses of the Korean soldiers and put them into the jars full of salts. Among them were a number of Korean civilians including kids and women. It is an irony to witness the savagery of the Japanese war hero who unified the entire Japan which had been a state of war by rivaling warlords for ovre two centuries, in the tomb and shrine built to worship him. The shrine was closed by Tokugawa Ieyasu in June 1615 "to discourage these unseemly displays of loyalty to a man he had eclipsed." Ieyasu was the one who restored the diplomatic ties with Korea after the seven years of brutal war. 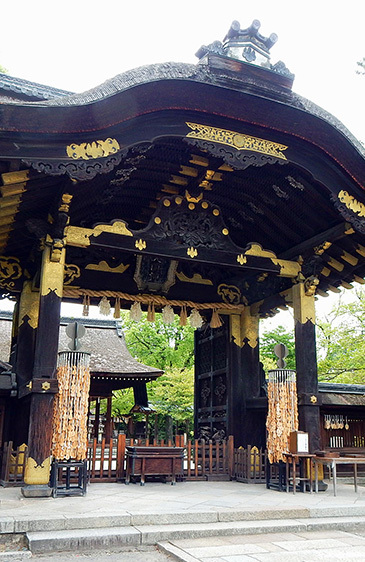 The current shrine was restored in 1868 by the Meiji Emperor.